Any imperfection in the skin – including acne, redness, eczema, psoriasis, rosacea, bumps, dry skin, fine lines, or discolorations – reflects poor function in the body. When we correct the underlying condition that impacts the skin, the skin will clear up. Continue reading to learn more about essential oils for the skin. Since the skin is your largest organ, it offers a great channel for applying essential oils. Your skin is relatively permeable to fat-soluble substances like essential oils. 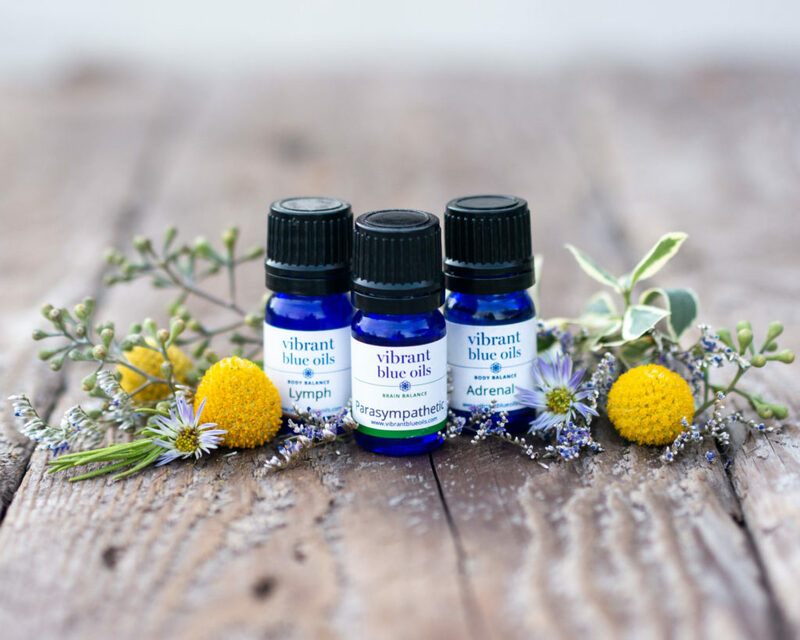 The molecules of essential oils are so small that they can pass through your skin into the capillaries and quickly be absorb into the bloodstream. From there, they can disperse to specific organs that help support the underlying conditions that contribute to skin imperfections. 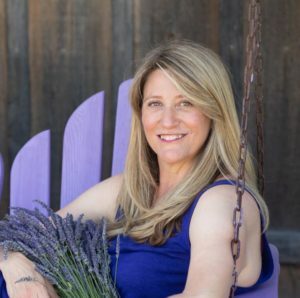 One study found that the constituents of topically applied Lavender™ oil were measurable in the blood within twenty minutes, and they stayed in the blood system for up to ninety minutes. The health of your skin is a reflection of your body’s ability to digest, absorb and assimilate the nutrients necessary for growth and repair. If digestion is compromised and nutrients are in short supply, the body will prioritize and drive the limited nutrients towards essential organs like the heart, brain and liver and away from your hair, nails and skin. Nutrients are more easily assimilated in the Parasympathetic™ state, as it triggers the optimal digestive cascade, including the production of saliva, release of stomach acid, enzymes and bile. For example, a lack of digestive enzymes can reduce the amount of fat and protein that you absorb, and leave your skin feeling dry and dull – which can be the cause behind eczema and psoriasis. Applying Parasympathetic™ behind the earlobe on the mastoid bone before meals helps to drop you into the Parasympathetic state promote healthy skin as it allows the nutrients to actually get into your body in a way that the body can use them. Similarly, the Pancreas™ secretes digestive enzymes that help break down the carbohydrates, proteins, and fats so the nutrients can be properly absorbed and assimilated. To put the pancreas in balance, consider rubbing some Pancreas™ on the fifth rib (2 down from where the bottom of your bra) on the left side of the body to help put the pancreas back in balance for optimal function. The Gall Bladder™ stores and concentrates bile, which helps to emulsify fats for optimal absorption that is reflected in soft, luminous, well moisturized skin. Applying some Gall Bladder™ to the gall bladder, on the right side of the body under the bra under-wire or along and slightly under the right rib cage, can help ease bile flow for optimal fat assimilation and absorption. Parasympathetic™, Pancreas™, and Gall Bladder™ can be purchased together in the Digestion Support Kit™. Gut bacteria and the integrity of the gut lining correlates with the health of your skin. When your gut lining is compromised, as in the case of leaky-gut syndrome, the contents of your gut are able to pass through the cell wall and into the bloodstream. Molecules of food, bacteria, parasites and other pathogens can then pass into the bloodstream, triggering an immune response that can cause redness, swelling and breakouts. As the largest organ in the body, the skin offers the quickest and easiest channel for removing the toxins. More on Leaky Gut HERE. Healing a leaky gut requires a combination of dietary changes (removing inflammatory foods like grains, dairy, alcohol and sugar) and supporting the body with essential oils. Helping the body drop into a parasympathetic state, by applying Parasympathetic™ behind the earlobe on the mastoid bone, helps to set the stage for healing. You can also help to reduce inflammation through topical application of Anti-Inflammatory™ oil rubbed clockwise around the belly button 2 – 3 x daily. In addition, healthy gut flora and mucosal lining are critical for absorbing nutrients from food and neutralizing toxic substances. To repair both, it is important to add in nutrient dense whole foods, supplements and essential oils to support digestive weaknesses, including Intestinal Mucosa™ rubbed clockwise around the belly button 2 – 3 x daily to help restore the balance of healthy intestinal flora. Parasympathetic™, Anti-Inflammatory™, and Intestinal Mucosa™ can be purchased together in the Gut Repair Kit™. Our bodies need to eliminate toxins and waste on a daily basis. If the elimination pathways — the channels by which the toxins exit the body — are blocked or stagnant, for example if you are suffering from constipation, the body can reabsorb some of the substances that it’s trying to get rid of. These reabsorbed substances can then be excreted through the skin, contributing to skin problems. Liver™: Your liver is your primary organ of detoxification, filtering toxins from blood and neutralizing the toxins through a series of detox pathways in preparation for elimination. The liver needs the energy and vitality to keep up with the increased toxic burden. It can easily get over-burdened and under-perform. When the liver isn’t working, the body becomes more toxic, which causes inflammation and skin problems. Liver™ helps support optimal health and vitality of the liver. Apply Liver™ directly over the liver (right side beneath the breast) 2-3 times daily. Gall Bladder™: The gallbladder works in tandem with the liver, releasing bile, a fluid that helps carry toxins and old hormones out of the body, so they don’t get reabsorbed. Poor quality bile also impairs our absorption of fatty acids, which contributes to inflammation and skin problems. To support the optimal flow of bile and allow toxins to flow out of the body, apply 2-3 drops of Gall Bladder™ underneath the ribs at the gall bladder (right side, underneath the ribs. If you lean forward, it is easier to apply under the ribs). Binders also ensure that toxins leave the body. Read More about Binders HERE. Lymph™: The lymphatic system is critical for moving waste, toxins and infections out of the cells via the lymphatic fluid which then flows through the lymph nodes to pre-filter toxins for the liver. The lymphatic system also helps carry nutrients, oxygen, hormones and other healing substances into every cell in the body, including the skin. The more you can help the lymph fluid flow, the more quickly you can move toxins out of the body. To support lymphatic drainage and movement, generously apply Lymph™ around the sides of the neck, under the left clavicle, in the arm pits, and the groin area. For more tips to improve lymphatic function, read this article. Hormonal changes in the body, often during puberty, menstruation, pregnancy and menopause, can trigger changes in the skin. This can be related to surges in hormones like estrogen, progesterone, testosterone and cortisol that impact the health of our skin. When our hormones are out of balance, we are more likely to develop dry skin, fine lines, wrinkles, acne and rosacea. For example, estrogen keeps the skin plump and healthy. As we age, estrogen levels decline, contributing to dry, less elastic, thin, more fragile and sagging skin. Skin appears and sallow, with fine lines turning into deep creases. Excessive estrogen, known as estrogen dominance – a hormonal imbalance between the levels of estrogen and progesterone (Read More about Estrogen Dominance HERE) can also to skin problems, like acne and throw other hormones out of balance. Similarly, high levels of testosterone contributes to acne, as the oil glands underneath the skin enlarge and produce increased levels of oil, known as sebum. When pores are filled with excessive sebum, it can cause surrounding skin cells’ walls to rupture and create a breeding ground for bacteria. As the sebum attempts to push out of the pore, it can attach to this infectious bacteria and dead skin cells, causing a blockage that begins the formation of a pimple. To support optimal hormonal levels, consider Estrogen Balance™ to support the liver with the gentle mobilization of estrogen applied over the liver (on the right side of the body under the breast) in combination with castor oil before bed + a binder. Hormone Balance™ also supports healthy hormone balance and release of hormone related weight gain. It contains Frankincense™, Ylang Ylang, Sage, Geranium, Holy Basil and Basil and should be applied over the liver/gall bladder (right side of the body under ribcage) or thyroid (throat). Other oils that may help support hormonal balance include Adrenal™ over the adrenal glands (back of the body, one fist up from the 12th rib), can help to increase the body’s ability to adapt to stress and reduce the demand for cortisol production at the expense of progesterone. Hypothalamus™ may help balance endocrine system, including all your hormones and your adrenals when applied over the third eye. And Gall Bladder™ helps mobilize excess estrogen and other toxins out of the body when applied over the gallbladder (on the right side of the body under the breast. The hormones involved in balancing our blood sugar levels – insulin and cortisol – also affect our skin. For example, insulin, a hormone produced in the pancreas that regulates the amount of glucose in the blood, stimulates oil glands. When we consume a lot of high-glycemic foods, insulin levels in the bloodstream go up, stimulating oil production which is why sugar consumption is often tied to skin problems. In the same vein, high consumption of sugar and refined carbohydrates can lead to a condition known as insulin resistance which further contributes to inflammation, liver congestion and hormonal imbalance. Cortisol is a stress hormone that can trigger a blood sugar response when your body is under stress. When cortisol levels surge it can cause sebum production to surge as well along with amping up inflammation, which can make almost any skin condition worse. To keep blood sugar levels balanced, it helps to support the organs of blood sugar regulation including Pancreas™ applied over your pancreas (left side of the body under the rib) to facilitate function of the pancreas and help balance insulin levels. Liver™ can be applied over the liver (right side of the body under the ribs) to help maintain steady and constant blood sugar levels by balancing the uptake, storage, and release of glucose. Adrenal™ applied over the adrenals helps to balance cortisol levels. All three oils can be purchased in the Blood Sugar Support Kit™. You can learn more about blood sugar balance HERE.